Information on Conchas Lake which is a 25-mile long reservoir in northeastern New Mexico, behind Conchas Dam on the Canadian River. 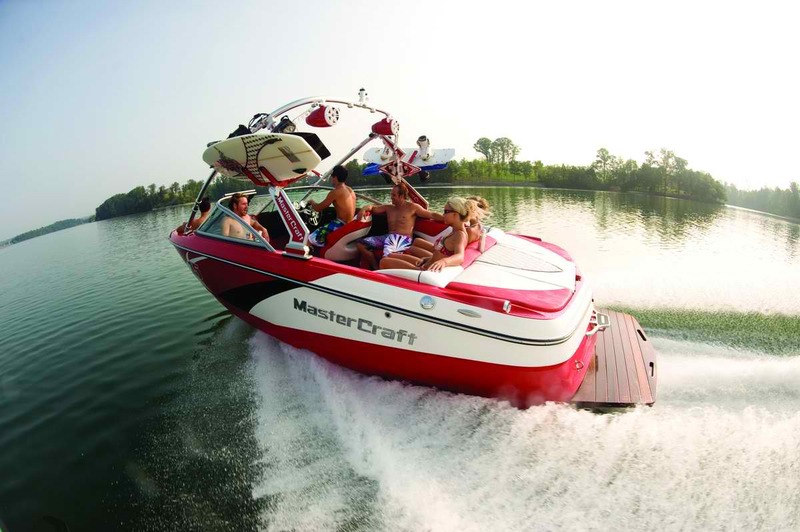 Our watercraft rental services include, boats, jet skis, waverunners, water skiing, water sports, boat tours, and private charters. The lake has a surface area of 9,600 acres with amazing places to wakeboard, water ski, kneeboard, wakesurf, wake skate and enjoy the beach. Adjacent to the lake is Conchas Lake State Park, which is divided into two separate areas, north and south. The state park has nine public boat ramps: five in the north area and four in the south area with most amenities at different marinas. The lake contains walleye, largemouth bass, channel catfish, bluegill, and crappie for all you fishermen. The south area is located between the town of Conchas and Hooverville. Conchas Lake Airport is located on NM 104 east of the lake, and Conchas Lake Seaplane Base is located 2 nautical miles north of Conchas Dam and North Dock Marina. Watercraft services are required in advance so please plan ahead.